On board of a navy vessel there many activities need to be performed by the crew. When assigning these activities to crew members certain constraints have to be taken into account, such as that crew members can only perform one activity at a time, some activities can be carried out only by a subset of qualified crew members, and some activities may depend on others. Three of our bachelor students have just completed a two-month project to support human planners with this complex scheduling task. In this project, they have analyzed the complexity of this problem (yes, it is complex: NP-complete), found and compared several translations to a mathematical program (such that it can be solved by a state-of-the-art solver such as Gurobi), and implemented a user interface for the human planner. Their report on all of this can be found in the TU Delft repository. This blog is authored by Mathijs de Weerdt. 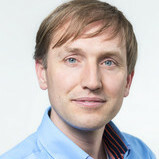 He is an Associate Professor on Multi-Party Optimization within the Algorithmics Group of the TU Delft, Faculty of Engineering, Mathematics and Computer Science (EWI), Department of Software and Computer Technology.